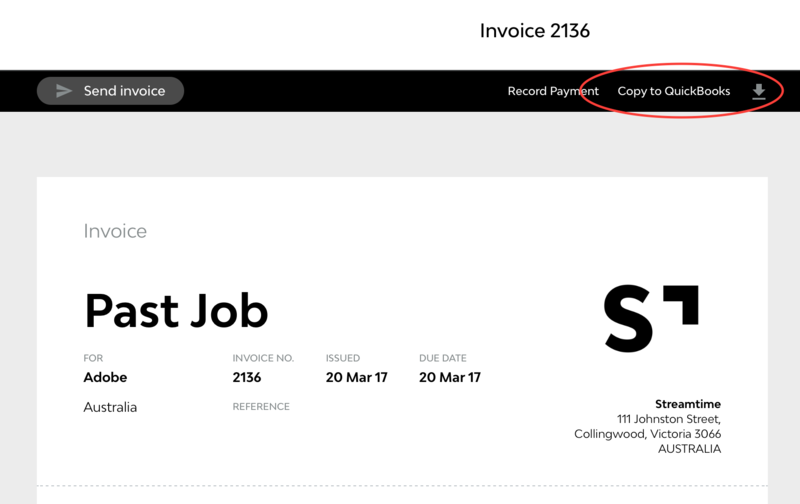 You can link Streamtime to your QuickBooks account and copy your invoices, expenses and POs across to QuickBooks with one click, meaning that invoices don't need to be manually re-entered in QuickBooks. 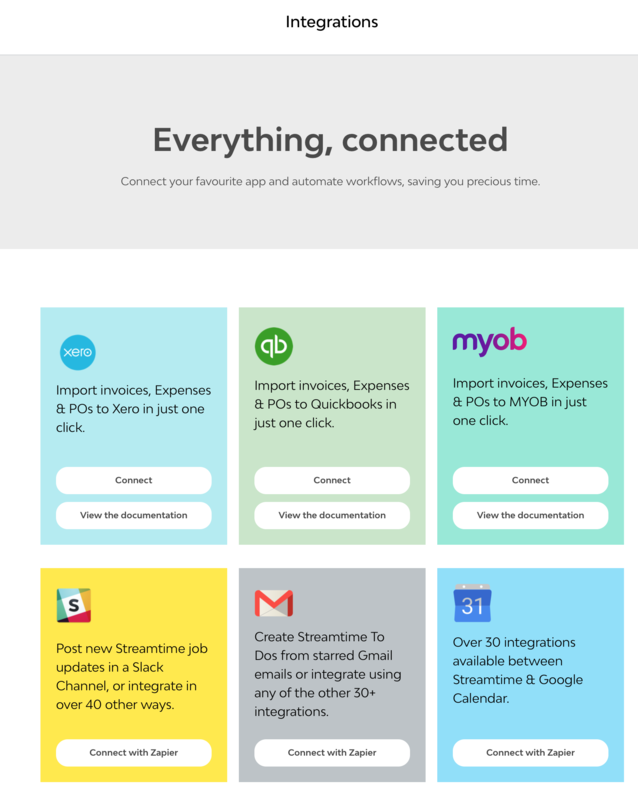 To setup the connection between Streamtime and Quickbooks, just head to Profile & Settings > Integrations. 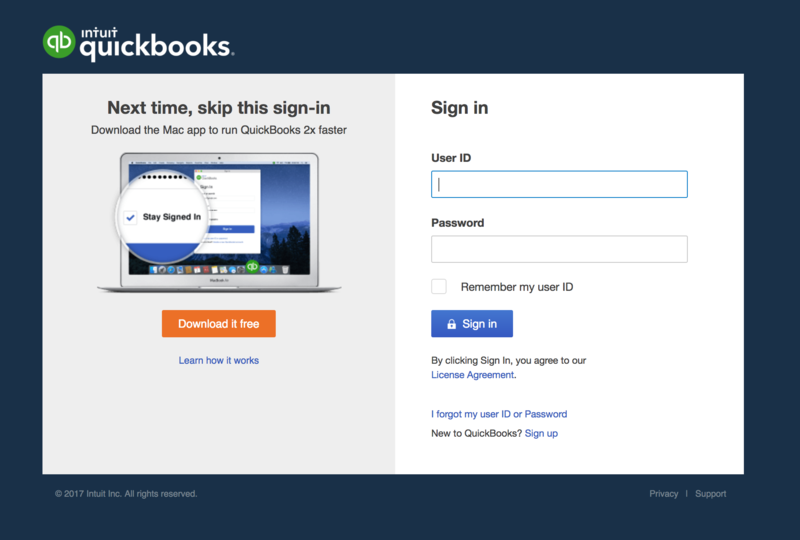 You'll then be redirected (via horseback 🏇) to QuickBooks to enter your log in details. You'll then be redirected again (this time via magic carpet ✨ ) back to Streamtime. 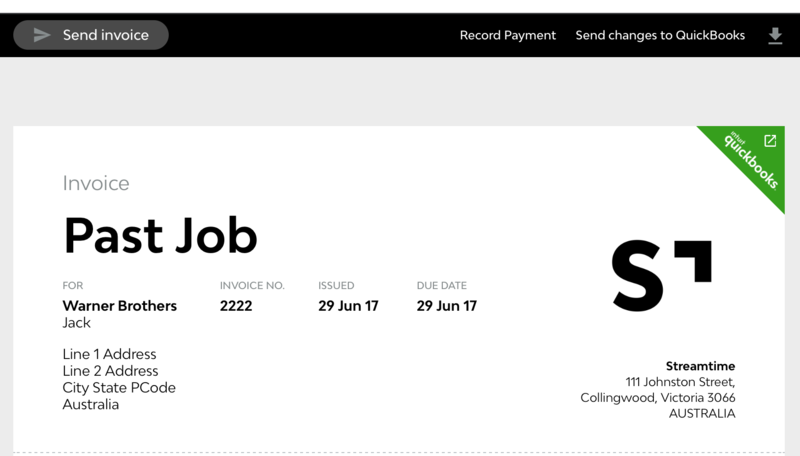 Your invoice will be marked with a green QuickBooks stamp, which will take you directly to the invoice in QuickBooks when clicked.